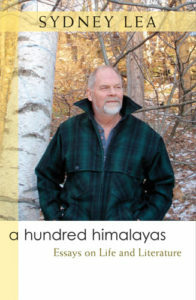 Sydney “Syd” Lea, author of a forthcoming book from University of Michigan Press titled A Hundred Himalayas, has been selected Poet Laureate of Vermont by Governer Peter Shumlin. A public ceremony honoring Lea will be held on November 4 at the Capital Plaza Hotel in Montpelier. 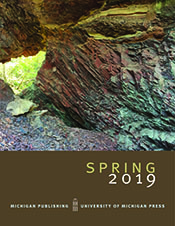 Long a professor on the graduate faculty at Dartmouth, Lea has published extensively, in multiple genres, in a wide variety of places, including the New Yorker, The New Republic, and the New York Times. Among very many distinctions, he is the founder of the New England Review; he was a panelist in 2008 for the NEA poetry fellowships; a Hopwood Prize judge in 2002; and a panelist for fellowships for the Fulbright Foundation.